Download our Bojangles' emoji keyboard today! 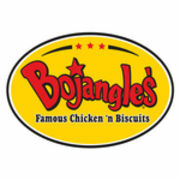 Rate and review Bojangles' Famous Chicken 'n Biscuits in Myrtle Beach, SC, United States! Share your experiences at Bojangles' Famous Chicken 'n Biscuits with your friends or discover more Restaurants in Myrtle Beach, SC, United States.